about how to prepare for future earthquakes in the region for a more resilient community. It is hoped that the scenario development process and final report will lead to the development of policies that enhance earthquake safety. 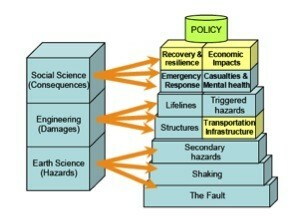 Policy making could take place in many topic areas including earthquake education, emergency planning, and building codes.